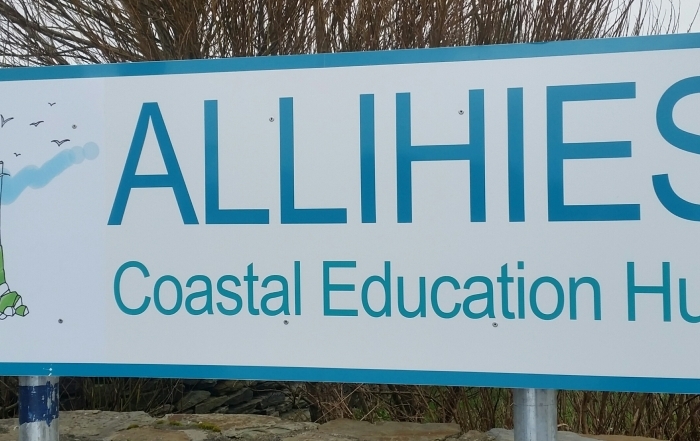 Allihies Parish Cooperative has been working to expand the economic viability of the Beara Coastal communities since 1993. .
We’ve identified the need for a coastal education and community centre. This multi-faceted facility will serve to enhance tourism as a seasonal drop-in centre. It will stimulate the local economy as an education facility (open all year long). All learning groups from primary to third level and including continuing adult education will be catered for. It will also serve as a business hub for independent and small businesses who require reliable internet and printing facilities. The centre will also dissuade the effects of social isolation prevalent on the Beara Peninsula as a local meeting place. Located on the South-Westerly limits of the Beara Peninsula, the small and charming village of Allihies ( ‘Na hAilichí ‘, in Gaelic meaning “the cliff fields”), is renowned worldwide for its breathtaking views and complex geological formations. As you enter the locality, you see the landscape speckled with the remnants of large engine houses, remaining from the great mining activities of the 1800’s. These haunting landmarks, illuminate not only a booming copper industry, but also a perilous age, which took the lives of many a brave miner. When it comes to our heritage and history we’re proud to say we’re different. We offer something a little more special.